It had the irresistible clearance price tag on it. This is Sherwood Forest's way of saying "get this plant out of here!" 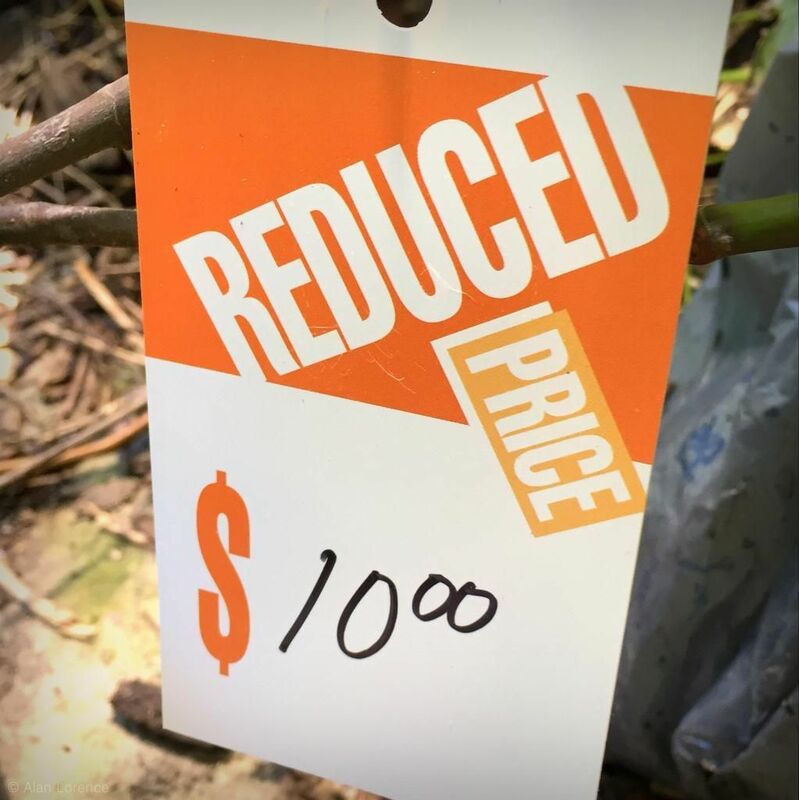 and I've gotten a few other nice plants for the same $10 price from them over the years. That includes my Pleioblastus fortunei bamboo, of which I now have at least 100 square feet (9 square meters) in various spots in my garden. I suspect this tree (shrub?) will need to be brought indoors for the winter, but I need ID so I can treat it correctly. Help! ...get a resident like this? It's a Southern leopard frog, common around here. There are two things I can't figure out about this situation, the first being how did it get up there? Did it just jump from the ground? I love having him out there, as his croaking complements the cricket, cicada, and katydid calls nicely. 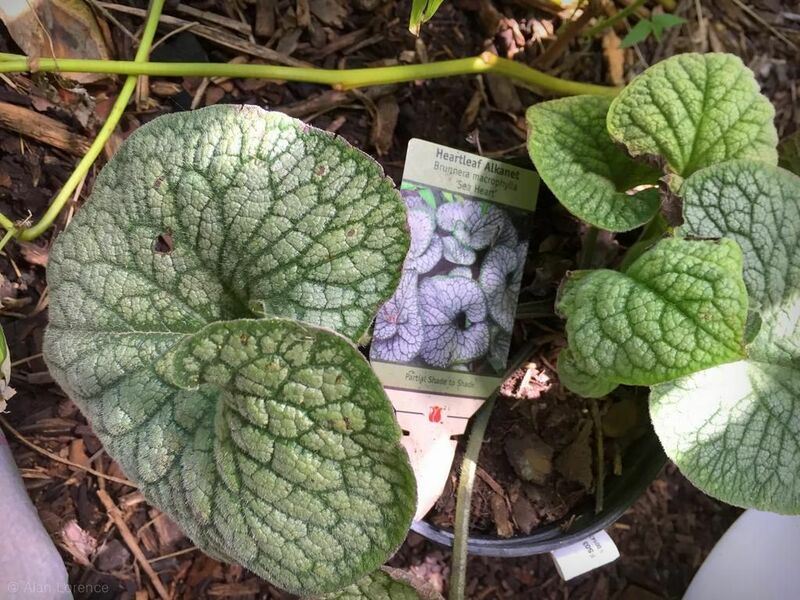 Third and final question: How do you make Brunnera macrophylla 'Sea Heart' happy? I bought this plant at the end of July and even though I kept it in shade and well-watered, it died on me within 10 days. The plant above is a replacement. Does it like to stay wet? Does it need moist but well-drained soil? The weird thing is that Brunnera 'Jack Frost' is doing fine in another spot in my garden, one that is probably a little drier than it wants. What's the secret? Looking forward to some answers in the comments! I’m not sure about question three, that’s a bit of a mystery Alan. I was about to say that lack of moisture might be the cause but since you’ve said you have another type doing fine in a drier situation then perhaps that may not be the case. 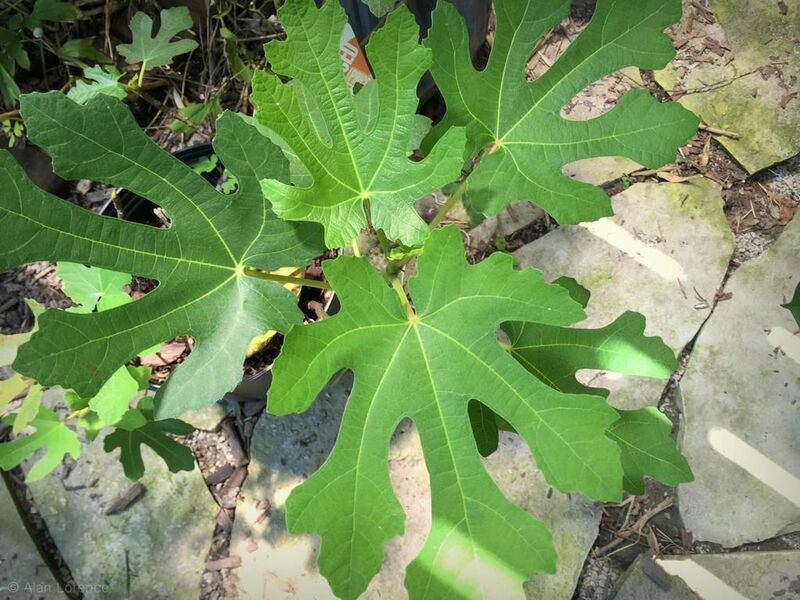 Question one, nice score on the fig, gorgeous leaf! Getting its exact ID is tricky but I’ll take a stab and say that could be a Ficus ‘Brunswick’. Or ‘Precoce De Dalmatie’…. I was going to say "fig" to #1 but that wouldn't have helped you. Everybody knows that #1 is a fig of some kind -- why didn't I know that already? Thanks! Any idea of cold hardiness? I will take question two...We have eliminated so much habitat (wildlife census for our earth is down 40% since 1940) that most animals will take what they can get. Frogs are an exceptional barometer for our planet. Per question #3--I've grown a number of brunneras though not your specific cultivar. Mine have done best in high, dappled shade or part sun with moist but not wet soil. (That's in Seattle though.) They tolerate a certain amount of dryness and I've seen the plain green plant growing very robustly in full sun with normal garden water. I'd suspect it's too wet for them in the one location. The stems are prone to rotting out. Yup, fig. Brunnera - no clue. 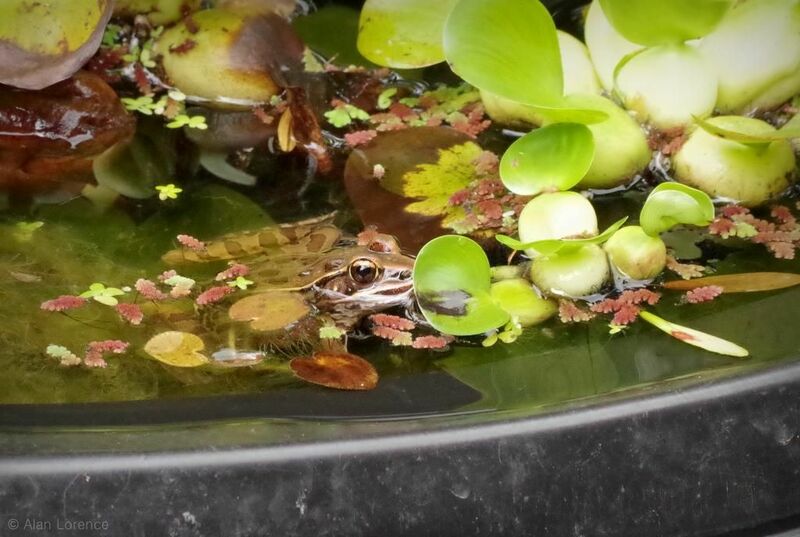 I have a frog that moved from the pond to a big water pot this spring and I wondered the same thing. Emily: Too wet is what probably happened. Thanks for the supporting info! Peter: My wife had an idea...perhaps when it was raining the frog heard or saw the splashing water? It still would have taken a blind jump to get up there I think. figs can be quite hardy. Even if they get burned to the ground they tend to push new shoots from lower part of the stem when they recover. 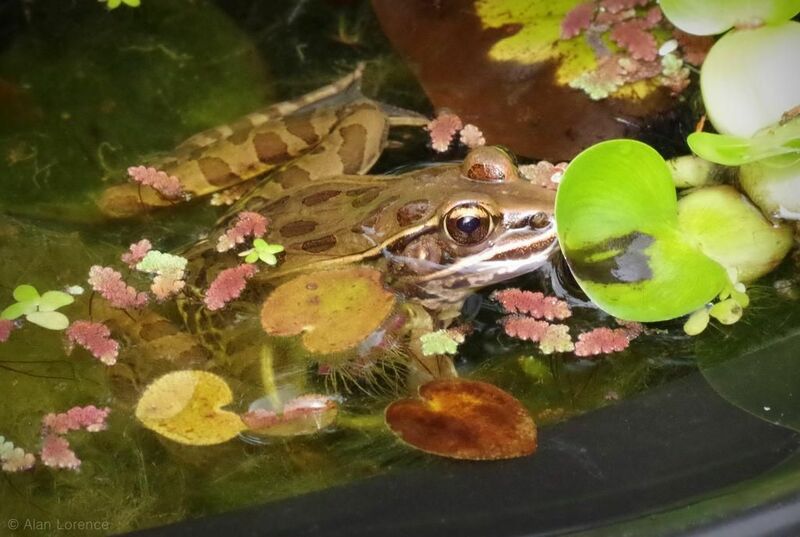 About question number 2, I think frogs can sense (smell, feel or whatever they do) water. Many animals can do it, including insects like mosquitoes that will fly around and find even the smallest sources of water. 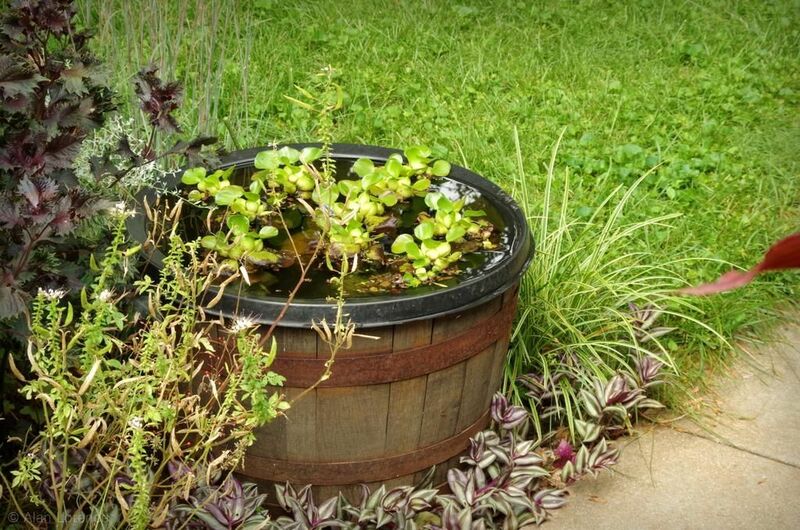 Same goes for dragonflies and water striders that will find a pond in no-time, even if the first nearby source of water is miles away.